President Donald Trump pledged to help Puerto Ricans recover basic necessities and security in Maria's ruinous aftermath as his homeland security chief tried to escape a tempest of her own making, set off when she called Washington's response to the hurricane a "good-news story." Elaine Duke, the department's acting secretary, drew a sharp rebuke from San Juan's mayor for seeming to play down the suffering. 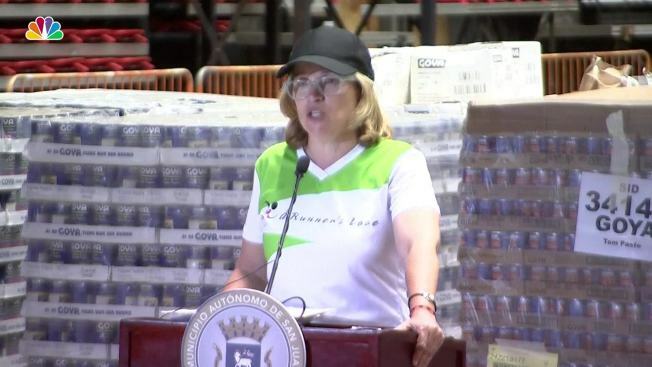 "When you don't have food for a baby, it's not a good-news story," Mayor Carmen Yulin Cruz told CNN on Friday. "Damn it, this is not a good-news story. This is a people-are-dying story." The mayor rebuked the federal response again Friday: "If anybody out there is listening to us, we are dying, and you are killing us with the inefficiency and the bureaucracy. We will make it with or without you, because what stands behind me is all due to the generosity of other people," she said. For his part, Trump said Puerto Rico is "totally unable" to handle the catastrophe on its own. "They are working so hard, but there's nothing left," he said. "It's been wiped out." He said the government is "fully engaged in the disaster and the response and recovery effort." Trump said he was not aware of Duke's remark. "I haven't heard what she said," he told reporters. "I can tell you this: We have done an incredible job considering there's absolutely nothing to work with." Duke visited the island Friday, surveying damage, meeting local officials and trying to move on from remarks that stunned some in Puerto Rico a day earlier. On Thursday, Duke said that the federal relief effort was a "good-news story" because of "our ability to reach people and the limited number of deaths." "Let me clarify," she said Friday upon her arrival in San Juan. She said she meant "it was good news that people of Puerto Rico and many public servants of the United States are working together." Speaking to the press, and taking no questions, Duke said neither she nor Trump will rest until displaced Puerto Ricans are back home, schools, hospitals and clean water are back and the island's economy is moving again. Duke said she is aware people are suffering and "clearly the situation in Puerto Rico after the devastating hurricane is not satisfactory." Trump weighed in on his way to New Jersey for the weekend. He praised his emergency management director, Brock Long, for doing a "fantastic job," pointed out that Duke is serving in an acting capacity and said "she's working very hard." 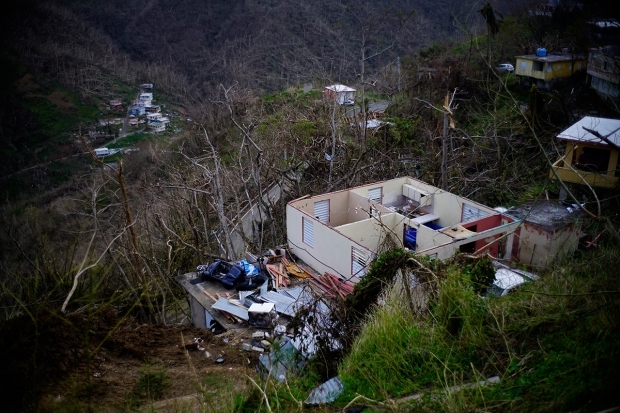 Yet even in voicing optimism and sympathy, Trump drew attention again to Puerto Rico's pre-hurricane debt burden and infrastructure woes, leaving doubt how far Washington will go to make the U.S. territory whole. 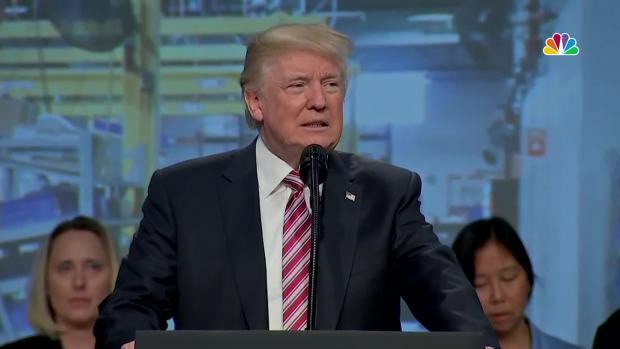 "Ultimately the government of Puerto Rico will have to work with us to determine how this massive rebuilding effort — it will end up being one of the biggest ever — will be funded and organized, and what we will do with the tremendous amount of existing debt already on the island," he said. "We will not rest, however, until the people of Puerto Rico are safe." Earlier he tweeted: "The fact is that Puerto Rico has been destroyed by two hurricanes. Big decisions will have to be made as to the cost of its rebuilding!" During this season's trio of monster hurricanes — Harvey, Irma, Maria — Trump and his administration have drifted into the perilous territory of premature self-congratulation in the face of unfolding catastrophe, seemingly unmindful of the "Brownie moment" that scarred George W. Bush's presidency. Bush famously told his emergency management director, Michael Brown, "Brownie, you're doing a heck of a job" during what proved to be a tragically inept federal response to deadly Hurricane Katrina in 2005. Trump has repeatedly boasted about the positive reviews he said his administration is getting from Puerto Rico and the U.S. Virgin Islands for its relief effort, even as people in remote towns struggle to find food, water and other basics. In a tweet Friday morning, Trump cited Rossello, who had just told CNN, "The administration has responded to our petitions," as evidence he and his administration "delivered" for the island. But Trump's tweet embellished the comment: "The Administration and the President, every time we've spoken, they've delivered." Rossello had also noted in a tweet that Trump agreed to his request to waive the Jones Act, allowing more cargo to be shipped to the island. And outside the capital, San Juan, people said Duke's and Trump's comments were far from the truth. "I have not received any help, and we ran out of food yesterday," said Mari Olivo, a 27-year-old homemaker whose husband was pushing a shopping cart with empty plastic gallon jugs while their two children, 9 and 7, each toted a large bucket. 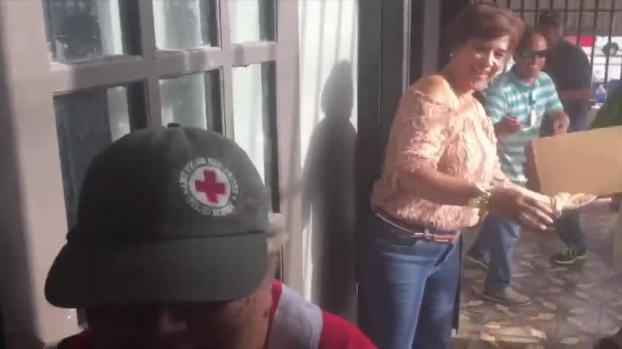 They stood in line in a parking lot in the town of Bayamon on the hard-hit northern coast, where local police used hoses to fill up containers from a city water truck. "I have not seen any federal help around here," said Javier San Miguel, a 51-year-old accountant. "Just like God helps us, we help each other," said resident Noemi Santiago, weeping. "Here one person makes food one day, another makes it the other day, so that the food that we have goes further." 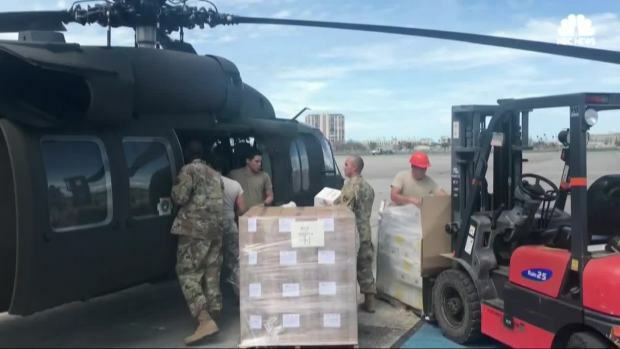 FEMA, which is leading the relief effort, has sent 150 containers filled with relief supplies to the port of San Juan since the hurricane struck on Sept. 20, said Omar Negron, director of Puerto Rico's Ports Authority. He said all the containers were dispatched to people in need but private aid supplies have not reached Puerto Rico. House Speaker Paul Ryan, meanwhile, announced that FEMA's disaster relief account would get "a huge capital injection" of $6.7 billion by the end of the week to help Puerto Rico recover. Ryan noted that Trump had waived a matching funds requirement, which means the cash-strapped island won't have to contribute to the initial costs of the federal assistance. 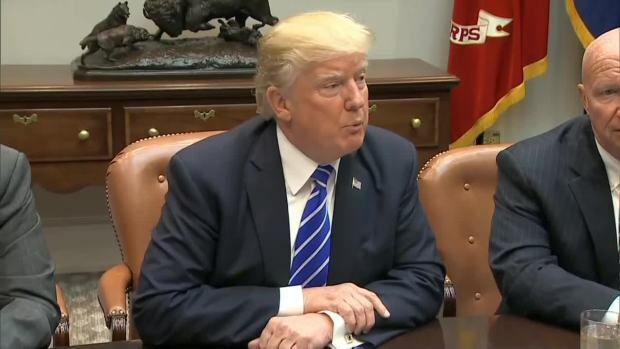 The Wisconsin Republican said he expects the Trump administration to send Congress a request for a long-term recovery package once damage assessments are conducted.